Diwali is probably the most popular and well known of all Indian festivals. this festival is well loved and welcomed in every Indian home. And every home is happy for Diwali. But Diwali is more about the spirit of giving than receiving. There are a lot of families who would love to celebrate Diwali the way we do in our homes. 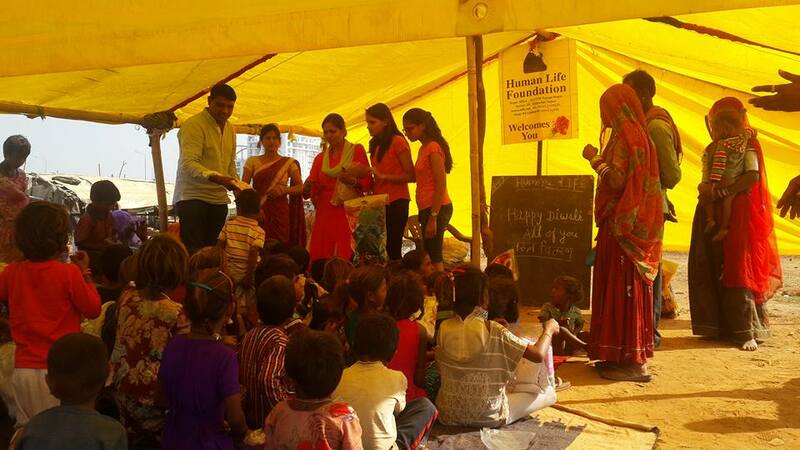 The Human Life Foundation Jaipur celebrated the Diwali With “The Underpreviledged Children” At Their Human Life School, a free education centre in slum at Jagatpura, Japiur on 19 Oct 2017. 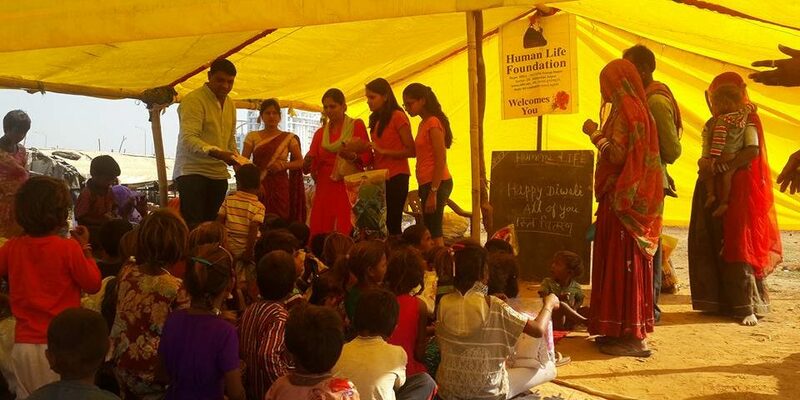 During Diwali, distributed the sweet among the underpreviledged children. The Guest of honour Mr Naveen Gupta and his family members has donated clothes, candles and crackers to our 55 school children. Give gifts to the needy- This is a very good way of receiving blessings from Goddess Laxmi and earning goodwill at the same time. To blessing of same kind and to spread smile on the face who live in scarcity, we have organized a program in Jhuggi Basti Jagatpura on 18/6/2017 evening. On this occasion, Mr Ishmile khan SHO Police Station Pratap Nagar and some of his staff members, Mrs and Mr Poonam Yadav, Dr. Amit Neogi, Mr Pankaj Gangwani have distributed gifts like crackers and sweets among school children. Many people had also witnessed the program.